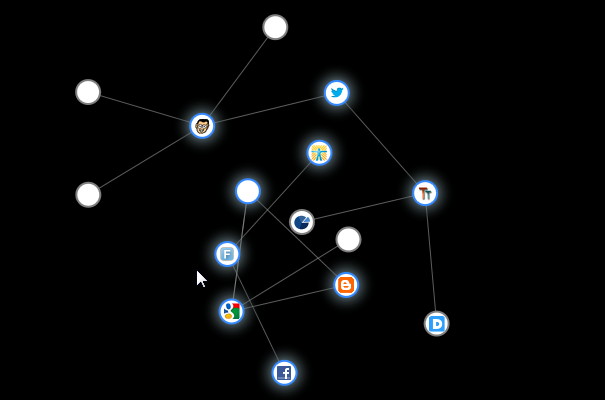 Ever wondered where the websites that you visit sends the information about you, and to whom? Well, if you are really eager to know that from where to whom the information is being passed, then you are at the right place. Read on this article to find out about a Mozilla Firefox Add-on that will graphically tell you about the flow of the information containing your visits and your browsing habits. Please pay attention to the fact before reading the article that each and every website that you visit on the internet stores this type of information in the form of cookies to make the ad-serving possible and also to produce the stats about the traffic on the particular website, thus being tracked by the websites in the form of cookies is very essential and unavoidable by the site owners, which includes this site also.You’re welcome to block cookies if that’s a worry. The tracking tool that we will be using is named Collusion which is a Mozilla Firefox add-on which displays the required facts wonderfully well and easy to understand by a simple normal user is the fact that you'll find as you read on. To install Collusion, we will head over to Collusion Website. On the website, click on Download button. 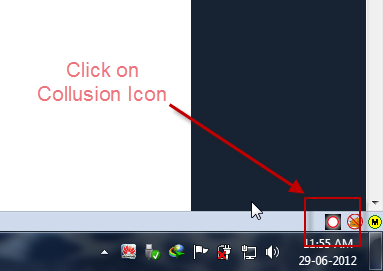 As you click upon download button, you'll be taken to the Collusion page in the Firefox add-ons gallery, there you'll need to click "Add to Firefox" button to start downloading add-on. 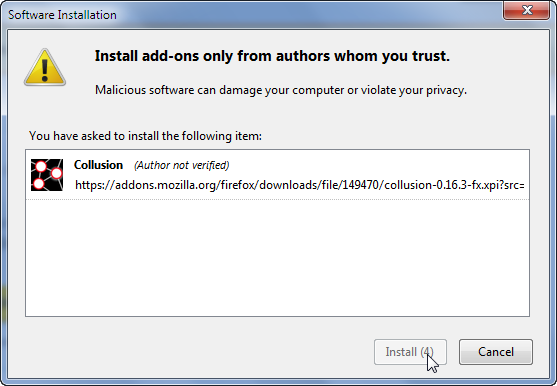 Once the add-on is downloaded, Firefox will prompt as following. Just click 'Install' to finish the installation. Now, as you complete the installation process, you'll notice a Collusion icon added at the right side of your add-ons bar, situated at the bottom of Mozilla Firefox, as you'll get that in the following figure. Now, as soon as you click on it, it will open up in the new tab, with the graphical details and the arrows showing the direction of the flow of the information from one website to another. 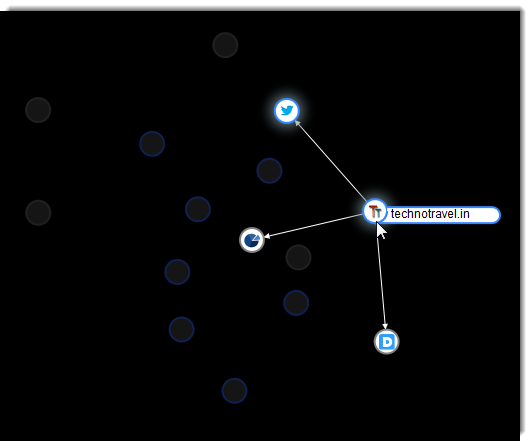 The sites that you have visited directly will have a blue glow surrounding them, to see where a website that you have visited has sent your data, simply hover over it. 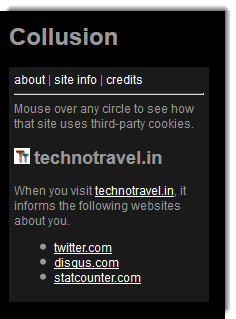 Below we can see that TechnoTravel sent cookies to 3 third-party websites. You can also find out the detailed information about the site that you hover with mouse from the column on the left. Just click on details and you could see the details that are easy to understand in written form. Now, as mentioned earlier, not all the cookies are used to track you. All cookies serves different purposes, and each and every website on the Internet stores cookies on your device. If you are much concerned about this fact and want to know how to browse completely anonymously, then just wait for some time as we are shortly going to come up with an article on anonymous browsing. Stay Tuned!